Разстояние до летището 6,8 км. Имате въпрос към The Pub Hotel? The Pub Hotel е благоприятно място за почивка и отмора след напрегнат ден, добре разположен в нощен живот, плажове, спортове зона на град Субик (Самбалес). Разположен на 7 Km от най-вълнуващите части на града, този 3-звезден хотел притежава отлично местоположение и осигурява лесен достъп до най-големите забележителности. Този модерен хотел се намира в непосредствена близост до известни градски забележителности като например Mt Carmel Clinic And Emergency Center, Manga Beach, Baloy Beach. Възползвайте се от богатството на ненадминатите услуги и удобства в Субик (Самбалес). Този хотел предлага множество удобства, за да задоволи и най-изискания вкус. Хотелът се характеризира с 23 стилно обзаведени стаи за гости, в някои от които ще намерите телевизор с плосък екран, пречиствател на въздуха, стойка за дрехи, безплатно разтворимо кафе, безплатен чай. Хотелът разполага с голямо разнообразие от развлекателни съоръжения като голф игрище (в радиус от 3 км), масаж. С превъзходните си удобства и отличното си местоположение The Pub Hotel е идеално място, в което можете да се насладите на престоя си в Субик (Самбалес). В плюсах, отличный персонал, чистота. Расположен прямо на дороге, не найти трудно даже пьяному. Горячая вода, wi-fi, чайник, бесплатный провод девчонок, коих много рядом. Всё отлично. В минусе, кондёр достал своим капаньем. Чисто и спокойно, рекомендую. Бесплатный чай и кофе, в коридоре стоит бойлер с холодной и горячей водой. Через дорогу отличный бар, с хорошим выбором девушек. I found this hotel very good value, clean, friendly staff, convenient location. Unfortunately I could not get the wifi to work the whole day I was there. I didn't raise issue with staff. There were lots of nearby restaurants with free wifi so it was not a great concern for me. Perhaps just needed a reset. 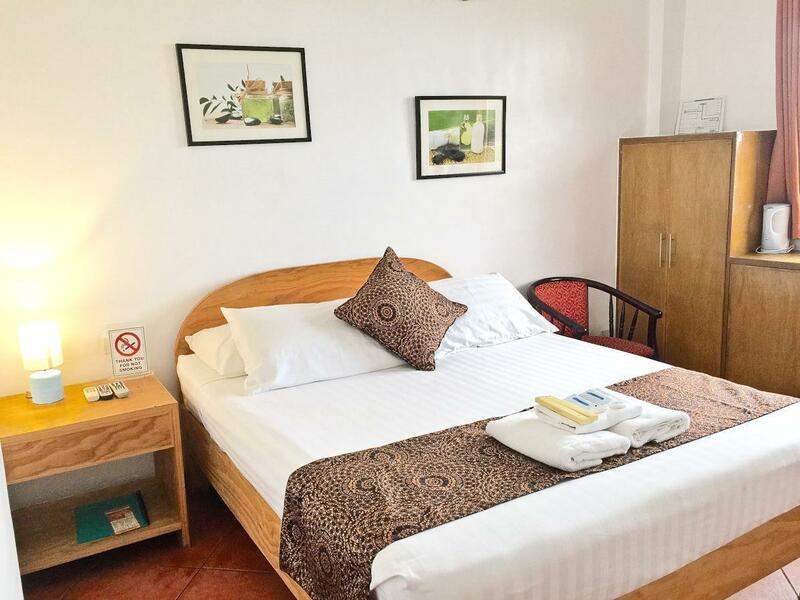 A very good budget hotel in Subic Bay, near Mangoe's resort/dive shop and the main street of bars in Subic. Jepneys and trikes (and larger buses) all run along the main road when you need to get somewhere else. Rooms are clean, desk is monitored 24hrs and there is a security guard at night. I felt very secure and appreciated the attention to cleanliness and service by the staff. I would absolutely stay here again. I stayed a few days while diving Subic bay. Clean and the expat owner is hands on. There is a great little health food kitchen hidden at the back of the bar with high quality fixings. one of the best places for food in the area. The coffee is to die for! Thanks for a great stay! Отседнахме 6 вечер/и в февруари 2019 г.
room had no remote for a/c but night time temp was quite cool in early Feb. Staff were very welcoming and catered to all my needs. Provided extra towels free of charge and were not concerned about how many 'friends' accompanied me to my room. Comfortable stay as always, just no real parking structure at all. Their parking garage is an architect's worst nightmare, not very convenient, so street parking is the only option. No nickel and dime late checkout charges so props on that, especially when you're hungover after a night out barhopping. Would recommend. Hotels has friendly staff..very closed to the beach and restaurants..no elevator ..overall ok hotel to stay for 3 days max. Location was great, staff was efficient, and room was spotless. The only minor criticisms are low water pressure and internet was a little spotty. Overall I recommend this hotel and would not hesitate to stay there again. 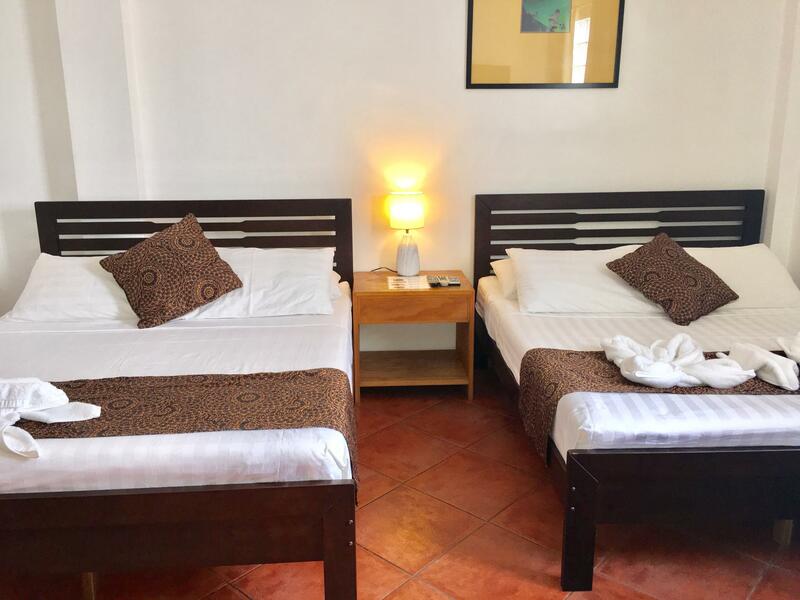 This hotel is on the main highway,the room i had was at the front on the first floor and i had no trouble with noise,basic rooms,it's a budget hotel and to me it's only a base.It's a great place to explore the local bars,the nearest bar is 20m away then a very short walk to the rest. The beach is about a 10min easy walk away. Отседнахме 7 вечер/и в септември 2018 г. Always stayed at the Pub for a night out in Subic. Only negative is the lack of parking. Only street parking available. That was not well thought out lol. Other than that, clean rooms basic stay is all I need. We were given a budget room where in fact we paid for a superior room. She said she can't issue a refund and she keeps on blaming her colleague for their mistake. She didn't even apologize. When I asked for her name she gave me a different name. Would never recommend this Hotel. Dirty brown water in the shower and sink all time. Drain clogged, blanket with big hole, staff did nothing. Room change rejected no complementary tea or coffee (only after request). Queen size bed is a normal 140 x 200 standard bed. Never again.